A new book coauthored by Scott Mainwaring, Eugene and Helen Conley Professor of Political Science at the University of Notre Dame, and Aníbal Pérez-Liñán, an alumnus of the University, presents a striking new theory of democratization that has earned it two major prizes in comparative politics. Democracies and Dictatorships in Latin America: Emergence, Survival, and Fall (Cambridge University Press, 2013) was named the co-winner of the American Political Science Association’s Comparative Democratization Section’s 2014 Best Book Award. The work also received the Donna Lee Van Cott Book Award for the year’s best book from the Latin American Studies Association’s Political Institutions Section. 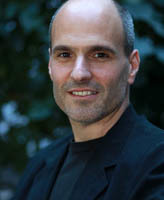 Mainwaring, a faculty fellow at the Kellogg Institute for International Studies and Pérez-Liñán, who received his Ph.D. in political science from Notre Dame and is now an associate professor at the University of Pittsburgh, spent a decade thinking about theories of regime change and analyzing political regimes in Latin America. In the book, they tackle a question previously unexamined for the region as a whole over an extended period of time: why democracies and dictatorships emerge in Latin America—and why some survive and others break down. Their new theory emphasizes the importance of political actors such as presidents, parties, unions, business associations, the military, and organized movements. These actors’ commitment to democracy and a regional political environment favoring democracy are key to the success of enduring democratic regimes, the researchers find. Their empirical analysis is based on regional data from 1900 to the present. In counterintuitive findings, factors such as per-capita GDP, economic performance, the Gini coefficient of income inequality, and oil wealth had no effect on democratization or on regime breakdown. 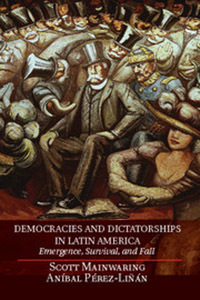 Previous studies on Latin American regimes have lacked the scope of this book, which is the first to offer a comprehensive explanation of Latin American democratization over such a long period. Harvard University political scientist Steve Levitsky called Democracies and Dictatorships in Latin America work “landmark research” and predicted it would have major impact. “This book goes further than any other in explaining the theory of regime variation in Latin America,” he said. The authors launched the book project in 2007, when Pérez-Liñán was a visiting fellow at the Kellogg Institute. They later held two workshops at the institute to gather input from other scholars as they developed their theory and empirical analysis. 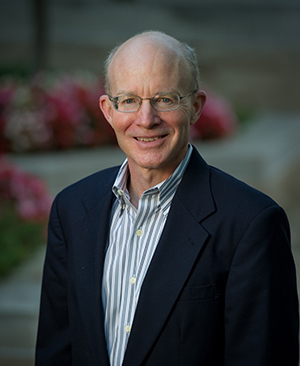 “I had the great fortune to study with Al Stepan and Juan Linz as an undergraduate at Yale and to work with Guillermo O’Donnell for a quarter century at the Kellogg Institute,” Mainwaring said. Our book attempts to carry on their tradition of studying democratic transitions and breakdowns. Originally published by Elizabeth Rankin at al.nd.edu on August 28, 2014.